A guide on what recommended gifts to give per each Confidant in Persona 5 (P5). Also, where to obtain them in Tokyo and how much do they cost in Yen. Update: Organized Recommended Gifts Per Confidant. Added Boost Value Per Confidant, Gift Locations, and Gift Prices (January 25, 2018). Previously referred to as Social Links in Persona 3 and 4, Confidants provide certain enhancements and bonuses in everyday activities and combat in Persona 5. Once you improve your relationship with certain characters, you will also improve your proficiency with certain Arcana. Persona summoned from those Arcana will gain additional experience based on the Confidant’s rank. Each of the characters below have very different personalities, so you’ll need to know what gifts they like to easily maximize your Confidant levels with them. To see the full list of Confidants as well as how to max out each of their Social Links, see our Confidants List and Schedule Guide. Gifts can only be bought once in a single playthrough. Gifts can only be given in non-rank-up encounters. When ranking up, you should refer to Conversation Guides instead to get as many points as possible. There are Gifts that can yield a +3 boost and show a Unique Dialogue to select Confidants instead of the normal +2 boost. There are some Gifts that can only be given once you have a Romantic Relationship with that Confidant. Male Confidants do not accept Gifts. If you are sure that you are giving +3 boost responses to certain Confidants during rank-up dates, you can opt to give the gift to another one just to catch up. Most of Ann Takamaki’s recommend gifts can be found at Shibuya’s Station Underground Mall. To max out the Protagonist’s relationship quickly with Ann, read our Lovers Confidant Conversation Guide. Majority of Makoto Niijima’s recommended gifts can be found at the Shibuya’s Station Underground Mall. To pick the right conversation choices with Makoto, read our Priestess Confidant Conversation Guide. If not in Shibuya, Futaba Sakura’s recommended gifts can be purchased in Akihabara. To keep Futaba satisfied, check out our Hermit Confidant Conversation Guide. The Underground Mall is the Protagonist’s go-to place for obtaining Haru Okumura’s recommended gifts. For a hand on the Haru’s proper conversations choices, visit our Empress Confidant Conversation Guide. Confidant gifts for Tae Takemi are mostly purchasable at the Station Underground Mall. Conversations with Tae may sound cool, but you still need to say the right things through our Death Confidant Conversation Guide. The Protagonist’s homeroom teacher, Sadayo Kawakami, really loves stuff from Shibuya’s Station Underground Mall. If you want something deeper than a student-teacher relationship with Kawakami-sensei, you can check our Temperance Confidant Conversation Guide. Shibuya and Shinjuku are the places the Protagonist need to visit to buy Chihaya Mifune’s recommended gifts. OYou can also predict the future when it comes to picking her favorable responses. Check out our Fortune Confidant Conversation Guide to say the right things. The journalist you’ve agreed with to write positive things about the Phantom Thieves of Hearts apparently loves gifts from Shibuya and Shinjuku. Say the right things to Ichiko Ohya through our Devil Confidant Conversation Guide. The “originally” planned member of the Phantom Thieves, Hifumi Togo, also loves gifts from Shibuya. If she is your romantic goal, max out your conversations with her through our Star Confidant Conversation Guide. Greetings! This is Ersatz from Samurai Gamers (SG). 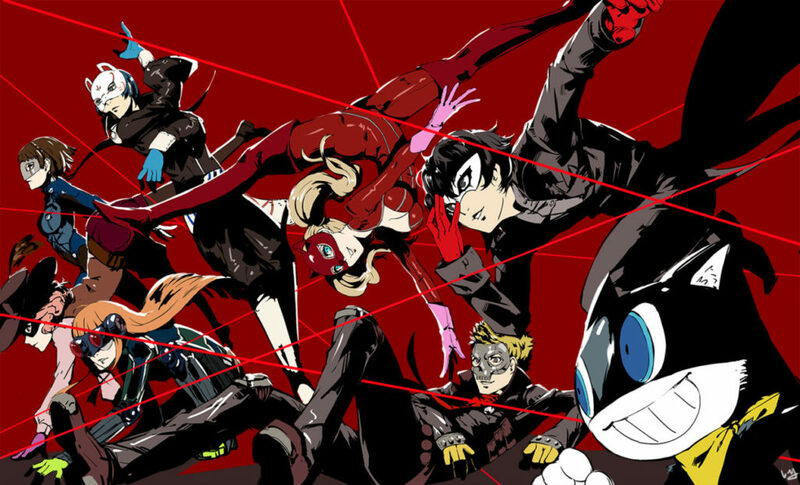 We’ve just updated this Persona 5 confidant gift guide article just recently. Hope it is much better from your playing experience. If there are mistakes or things that we weren’t able to add, please don’t hesitate to share your feedback. Many thanks on behalf of SG. Your information on Ohya Ichiko is not right. I wasted a star mirror thanks to you. Did you just copy this from another site without checking? So many people with this exact same guide. So many of them wrong. Mokoto does not like classical works. Mifune does not like incense. Ohya does not like perfume. The “snack pack” appears to be the cheap chocolates, they worked on Kawakami. Custard Cake = Castella btw in the Western Release, couldn’t find Custard Cake anywhere and I decided to try Castella and that worked aswell (This was with Sadayo Kawakami, haven’t tried it with the other ladies though. Also Crimson Lipstick didn’t work for Ann, it said something like it would be ackward to give it at this time (Was around Rank 5 or 6). Snack Pack (which becomes available during the summer at the discount store in shibuya) works with Futaba and possibly Ann. Ann will accept the Rose Bouquet and Futaba will accept the Matcha pudding/flan. Glass vase in the Underground Mall works with Chihaya. “KGB Vest”, I began to question why would a shop in Shibuya be selling a Russian vest and why would Ann like this as a present? You know, before I put two and two together. It’s probably a idol group or a band in Japan. Or who knows! Hey so Twinfinite stole this info from you and posted it as their own. You have the wrong names in English which makes me think you took the time to translate them yourself which is why they aren’t localised. Which is also how I know Twinfinite stole it from you. Valuable info. Lucky me I discovered your website accidentally, and I’m stunned why this coincidence didn’t happened in advance! I bookmarked it. Great help, but there are alot more gifts in this game. Could you please add to the current list. This one is perfect but does not cover jewelry or the Akihabara gifts at all.